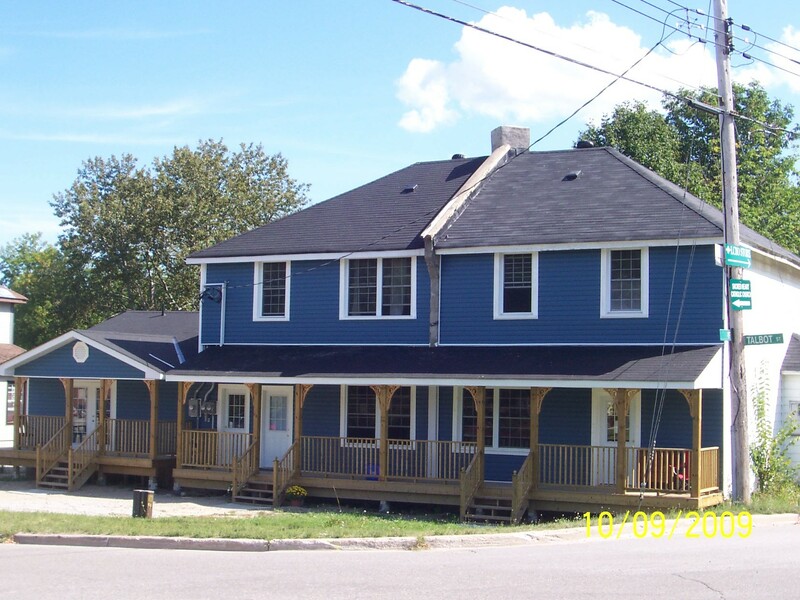 Port McNicoll is a town of approximately 2,500 permanent and seasonal residents. It is located just east of Midland, off Highway 12, on the southern shore of Georgian Bay. The town is soon to be transformed into a tourist desination with considerable redevelopment in the downtown and the returning of the SS Keewatin to her home port. A map of the town can be found here. To view posts that have been written about Port McNicoll, click “Port McNicoll” in the “Tags” portion of the right hand sidebar. In the second half of the nineteenth century, the growth of navigation between Great Lakes ports brought cargoes from Chicago, Duluth and the Lakehead for transfer to rail lines that stretched to the Atlantic and that carried other goods west. In particular, many freighters were bringing their cargoes to the grain elevators at Midland and elsewhere. Port McNicoll, named after a Vice President of the CPR, was founded in 1909. The Canadian Pacific Railway had decided to build its own port on Georgian Bay, to replace its terminus in Owen Sound. Port McNicoll provided a fine harbour and a location easily reached by train, resulting in a more direct and shorter route for shipping western wheat to the eastern seaboard. 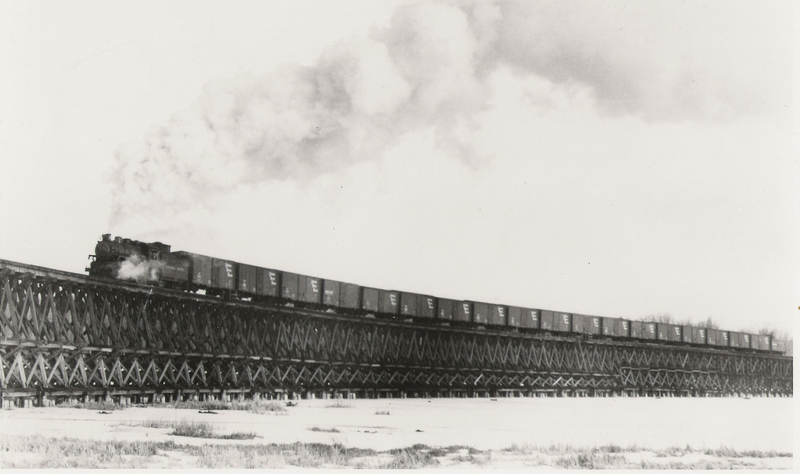 Construction of a grain elevator, railway depot and a half-mile – long wooden trestle over Hogg’s Bay began in 1908. In 1912, the CPR moved its 5 steamship fleet from Owen Sound to Port McNicoll. Their freighters the Alberta, the Athabasca and the Manitoba brought in western grain from Thunder Bay to be stored in the CPR elevators, and then shipped by rail to eastern ports. However, the opening of the St Lawrence Seaway in 1959 cut the amount of grain coming into the elevators of the Bay ports drastically. Better highways and the development of the trucking industry further changed the modes for shipping lighter freight. The last of the CP freighters, the Manitoba, was withdrawn from service in 1950. The rail line, trestle bridge and grain elevator have since been demolished. The twin passenger ships the Assiniboia and the Keewatin serviced the Port McNicoll terminal for over fifty years. In the beginning the majority of their passengers were immigrants heading west, but later, as traffic patterns changed, they carried mostly tourists. “Boat trains” from Toronto brought in passengers to take the scenic route across Georgian Bay and Lake Superior to Thunder Bay. However, improved highway and airline systems ended passenger service in 1965. 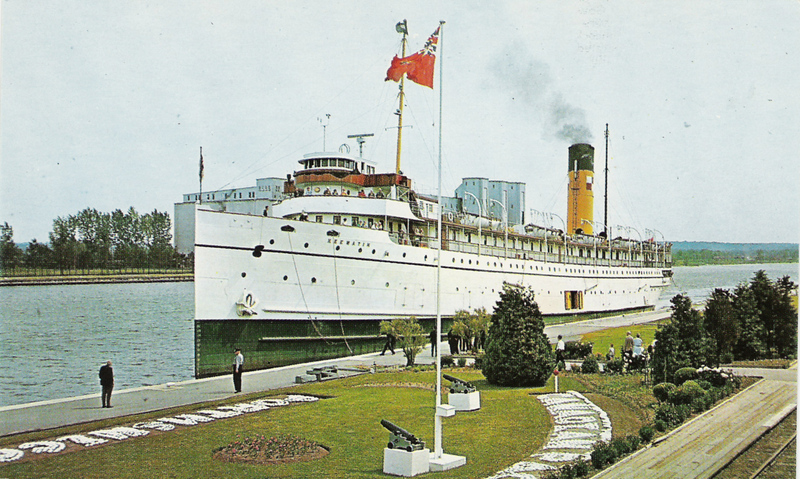 There is no longer rail and steamship service to Port Mc Nicoll, but substantial residential and commercial development is planned for the waterfront, to include the 2012 repatriation of a restored Keewatin as a maritime museum. Click for more information on 556 Algoma St.
Click for more information on 476 Ann St.
Click for more information on 449 Assiniboia St.
Click for more information on 460 Assiniboia St.
Click for more information on 718 Sixth Ave.
Click for more information on 741 Seventh Ave.
Click for more information on 326 Talbot St.
Click for more information on 342 Talbot St.
Click for more information on 365 Talbot St.
Click for more information on 367 Talbot St.
Click for more information on 379 Talbot St.
Click for more information on 381 Talbot St.
Click for more information on 387 Talbot St.
Click for more information on 389 Talbot St.
Click for more information on 393 Talbot St.
Click for more information on 395 Talbot St.
Click for more information on 459 Talbot St.
Click for more information on 465 Talbot St.
Click for more information on 5020 Talbot St.
You might try the Huronia Museum in Midland, photograhic services, reasonably priced. I stumbled across your blog. 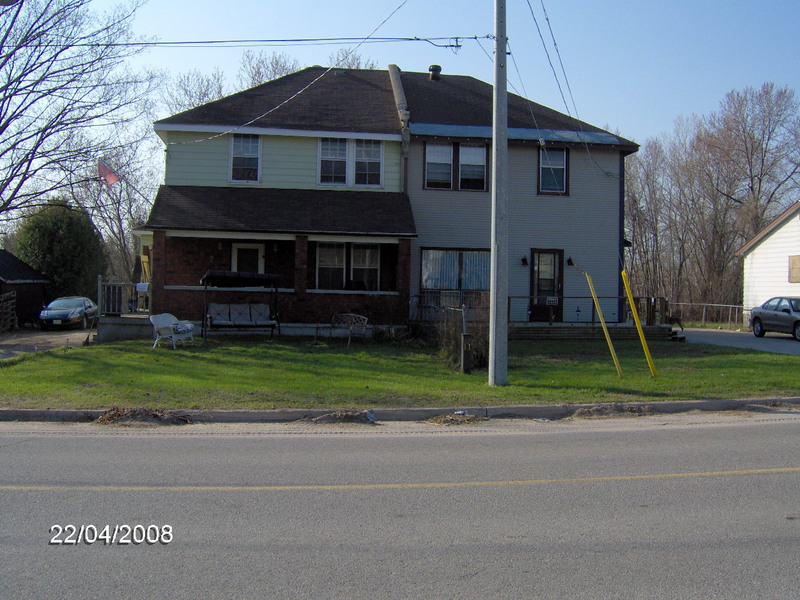 Recently relocated to Port McNicoll, I have a question of how to find out info on my current home. 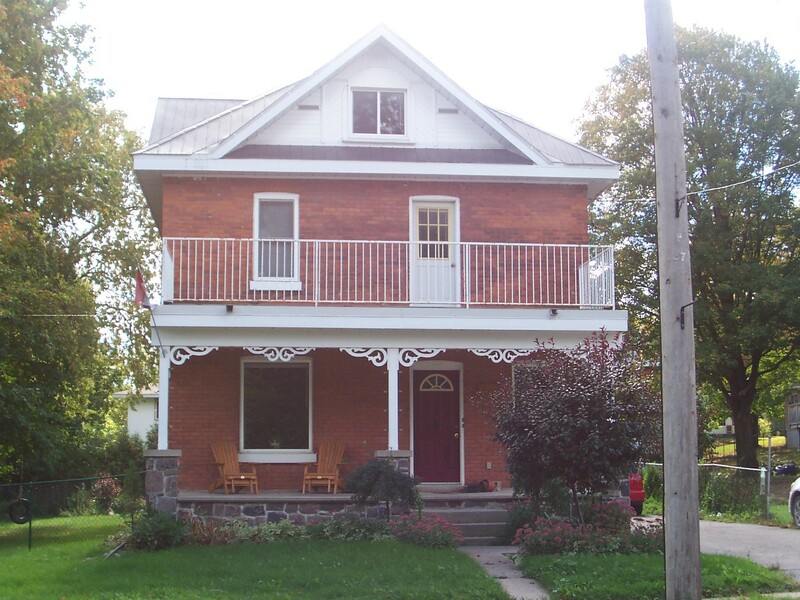 528 First Ave., Port McNicoll. I am curious as to whom built it and their occupation. Long story that is still writing it’s self…maybe I can share it one day. I do know the home was built in 1912. We have huge wooden beams that make up the construction in the livingroom that supports the upper floor that appear to have come from a barn or ship yard since they obviously had been used for something else originally from the notches that were cut out prior to them being used as supports in this home and I also know that First Ave., was Hwy 12B before being renamed. Anything you can add to this. Yes, this was the birthplace of my Mother and we left the monument to mark her 100th birthday. 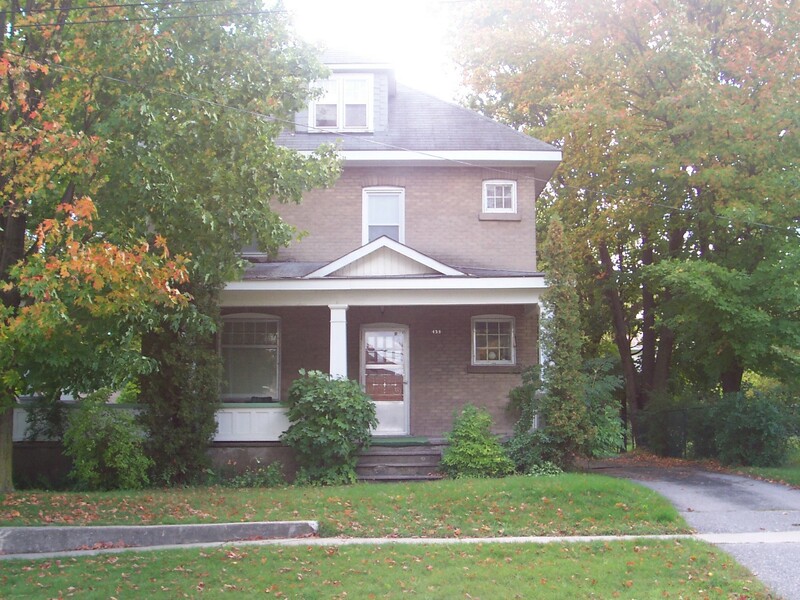 This location was the first of the homes the family built on their large estate. The main home was were the Humane Society is now located today. The main home burnt down several years ago. Our family were early pioneers of Tay Township owing and operating the McDermott Lumber company in Victoria Harbour. 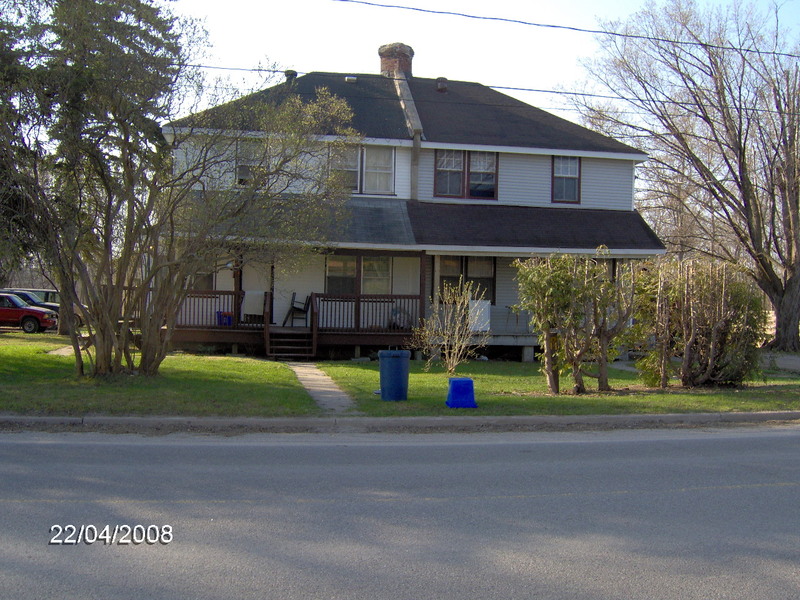 There were three homes ,the main home, the ” house at the switch” (were this monument is located) and a third home at Robins point Victoria Harbour. Mac McPeak the builder of the trestle and noted on the stone at trestle park and my Aunt May also lived in the “Home at the Switch” as did most family members when first married. The home was refereed to as “Home at the Switch” because to walk to that house from the big house the family would walk along what now is the Trail, you will notice on the trail were the railways switched lines. So could go on and on as the keeper of the family history but thank you for asking it is special location for the family of John McDermott. Was there a trading post there before 1908? Looking for the grave of Peter McNichol or birth of son Andrew but the dates would be before 1908 family came from Scotland in 1904 same year Andrew was born Maybe! I am very interested in the picture above of the Trestle over Hog’s bay…. we just purchased a home built from the timbers of the trestle and would love to have a high quality version of that picture hanging on the timbers. There used to be a private tree arboretum located off Alberta St. It was surrounded by a huge hedge so not visible from the road. Does anyone know what happened to it or to the grower? Thank you. I did find it and you are correct. Wonderful place. We were able to do photographs. I do hope the home and orchard will be preserved. Well, ive been trying to find information on this abandoned broken building that looks like it could have been a house of some sort, its all made of stones, and its way out in the the middle of a bush, theres no rode or trail to it, its out in the forest on the left when you come into Port, Wondering if anyone knows what im talking about, and if anyone knows what it might have been. I was in Port public school when your grandfather manufactured clothing of some type at the top of the hill by his home. What was your fathers name, Robert? Robert is my uncle. Paul is my father. Hello, my name is Robert McNicoll, and I have always wanted to visit Port McNicoll. My grandfather Thomas Stewart McNicoll was born in Cincinnati Ohio, and his father James MacNicol was married to Mary Stewart, both from Portee, Isle of Skye, came to Ohio in 18436. James had brothers and cousins who emigrated to Canada in 1840’s. Is there any information about what is happening with the Skyline redevelopment. Is it still going ahead?